Pets just love food treats, almost like the way most of us who love junk food. But these treats should be offered with discretion. Many treats have higher sugar or fat content than staple diet food. For example, treat sticks for rodents usually have more processed sugar than the hay, grasses, pellets and vegetables that should actually form the bulk of their diet. Snack treats such as biscuits for dogs and cats often have a higher fat content than regular diet also. If a pet gets hooked on these treats, partly because of their owners who overly feed them with such treats. The pet may eat less of, or even refuse altogether its staple diet and demand more of the snacks. This is a big health issue problems and will lead to troubles like obesity, diabetes and dental problems. For your information, even raw vegetables for rodents should be carefully selected. For instance, some rabbits and guinea pigs get addicted to the sweetness of carrot or the juiciness of lettuce and might refuse other type of vegetables, leading to malnourishment or diarrhea. Treat Management ñ How Often? How often is too often? This can largely depend on the species, the individual animalís health, age, activity level, size of the treat and the quality of the staple diet. As a general guideline, it is safe to say that daily treats are too much, unless each portion is broken into small pieces and given to him once a day. Otherwise, give a regular-size treat once or twice a week at most. If you are using treats to train your pet, especially dogs. Make sure to break your treats into smaller pieces and not to give excessively such that your dog refuses or fail to finish his daily diet. If this happens, you will know that you have over feed him. The best treats you can give to your pets are your time, attention, affection and energy. These treats are more valuable than luxurious housing or 5-star desserts, as time and love will make an animal companion bloom while feeling safe and secure. This means that animals which need to be walked, such as dogs, should be taken out daily. Most dogs love walks as they sniff out all the exciting scents and exploring new routes. By giving your dog the walk-treat, itís good exercise for you too! Give attention to your pet by spending time stroking, grooming and talking to him gently. Any animals that have learn to trust its owners will enjoy being patted, tummy-scratched, stroked and brushed. Be sure to look out for any unusual behavior and signs of ill-health, and see a vet if necessary. Make an effort to keep your petís living environment clean, stress-free and safe. 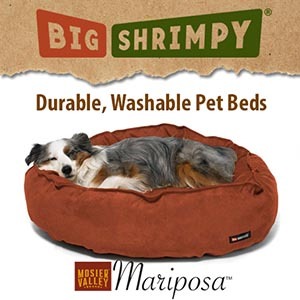 Wash bedding, clean enclosures and remove dangerous items that may harm your pet. Treats are still treats and will never ever be able to replace the affection, care and concern that you can offer to your pet. Never is and never will. Make some extra effort to care for your pet today and your pet will appreciate it.